Elvex has become an industry leader in the development of closed cell foam protection for dusty, dirty and windy environments. When airborne particulates pose a real threat to harm your eyes, depend on Go-Specs IV™ to get keep eyes clean of dust and debris. 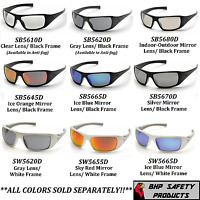 The removeable Eva Foam lining lets you use theses a conventional safety glasses. 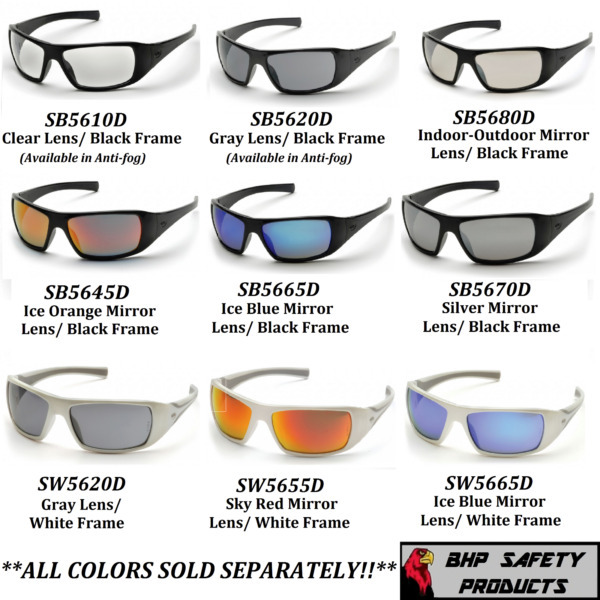 Great for motorcycle riding! Go-Specs IV™ primary objective is to provide an extra measure of protection in dusty and dirty environments. The vented EVA flame retardant closed cell foam seal protects from windblown particles such as dust, sand, cement, chemicals can cause serious eye irritation and damage. The Go Specs IV ™ feature multiple ventilation ports for superior anti-fog performance and wearer comfort. The Go-Specs IV™ model has a larger curvature which gives the wearer a greater field of vision. The grey polycarbonate lens is designed to reduce intense sunlight and glare. Meets ANSI Z87.1.